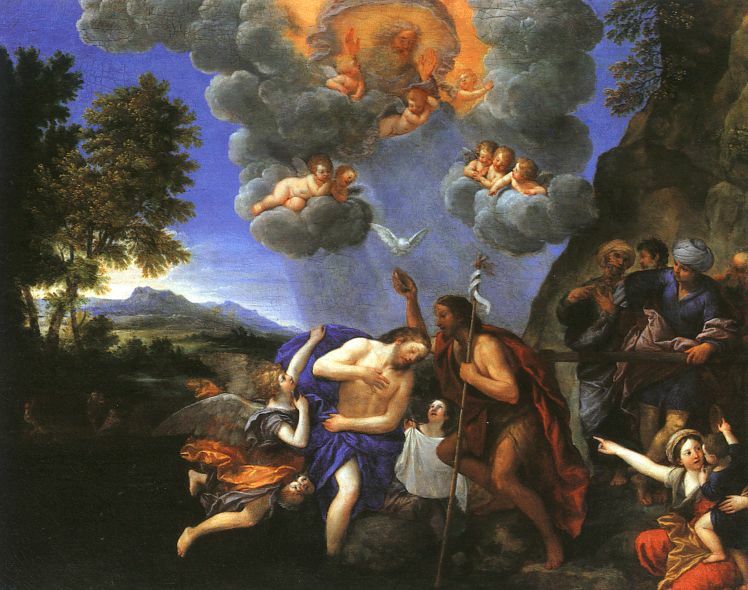 Today is the Feast of the Baptism of Jesus. Heraclitus of Ephesus, five hundred years before Jesus points to the answer. Both we and the river are different for the encounter. The river is ever flowing. The waters passing over me now are gone in an instant, replaced by new waters. In the process, I am different. I am cleansed by the passing of the waters. The undesirable accretions of the old man are carried away by the waters, leaving unstained the essential man, the original person restored. We come into the world literally passing through the waters that surrounded us for all of our life in the womb. Passing through water is literally the universal right of passage. The Jews entered the Red Sea literally fugitive slaves on the run. They emerged a free people, a race reborn, their past and their tormentors all drown in the waters. Is it any wonder that Jesus tells us we need to be born again of water and the Spirit? He wants us to pass through waters as the rite of passage and purification, to cleanse our sinful past, carrying away our unsightly accretions and leaving the essential person restored. At Jesus Baptism, we see the Blessed Trinity for the first time. The Holy Spirit descends on Jesus, and the Father declares Jesus to be His Son in whom He is well pleased. We are then instructed to listen to Him. When we see this clearly, the imperative becomes overwhelming and irresistible. We not only champion the pre-born, but the poor, the sick, the homeless, the elderly. It is a scurrilous charge made by the proponents of the Culture of Death that we only care for the fetus, and not for the mother and child after birth, that they are on their own. Good people like Chris Bell, Co-Founder of Good Counsel Homes with Father Benedict Groeschel take in the educational and life skills needs of expectant mothers, teaching them self-sufficiency. Chris is paradigmatic of, millions of committed pro-lifers who make their contributions in ways great and small. This day is our feast. We have died to sin with Jesus in the waters of Baptism and emerged into the newness of life. Having died to our sin, we live for the least among us. That is to say, for Jesus.